This is one of the most important features of Microweber Website Builder and CMS. Each of you who have online shop knows that this is the most used page in the whole system. If your online store is successful then you probably spend the most of the time online to tracking your orders. 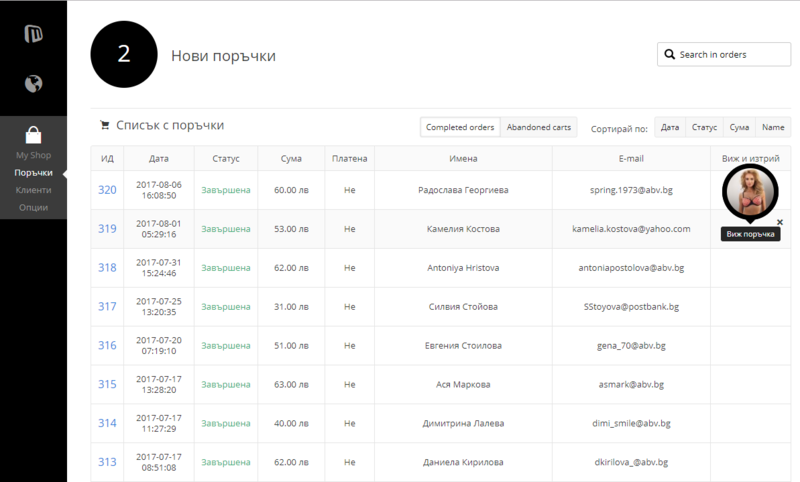 Here you have basi information of your order, only the amount of the order, name of the client and e-mail address, also number of order and data order. You can proceed to the full order detail by clicking on the black button See order. There is much more information here like the exact address for shipping and details for the order. 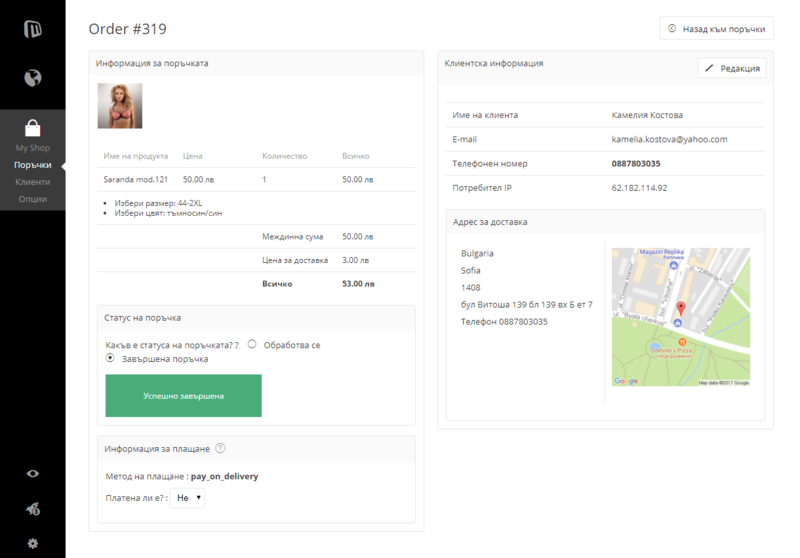 In this examples Microweber CMS work perfectly in 9 languages, this online shop is in Bulgaria on the screenshots, but the functionalities have the same look on other languages. You also have payment status and order status. When you receive your payment the payment status will be YES and after you finish with the shipping you can switch this order to status: Compleated. This way you will always see the new orders first. Sell more with Microweber CMS and create Online Shop for free!